Politics can be a cutthroat game when you look at it from a distance. You can almost simplify it down to good vs evil and when you are dealing with evil, you know your opponent has little regard for fairness/rules. This is why sociopaths do so well in business and politics. They have the charisma to persuade people to follow their lead and the absence of guilt to cheat their way through challenges. This doesn’t mean you should just lay down and accept their ways though, far from it. When corruption is left unchallenged beyond a certain point it can lead to some of the worst events in history such as resource wars which unlike territorial or genuine wars against tyranny are perpetual in nature given that resources are so finite on 1 planet with exponential population growth. 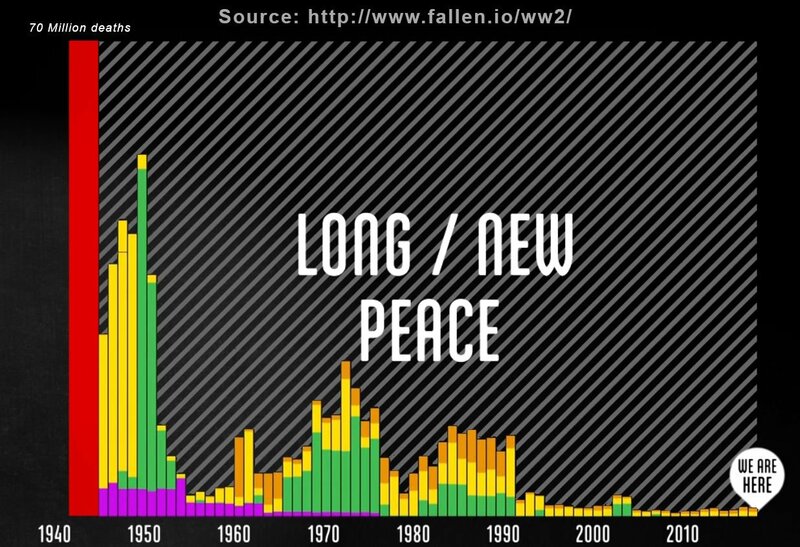 Since the end of World War 2 where around a total of 70 million civilian and military people died as a direct result of the conflict, a controversial term has been used called “The long peace” coined first by history John Lewis Gaddis in 1989 which is in reference to the fact that no rich major nuclear powers have had direct conflict with each other since World War 2. This does not detract from the proxy wars that have happened throughout this period. So although we no longer live in times of World Wars, we still see rich countries like the United States involved in conflicts with poor non-nuclear powers which has become a business model and the lifeblood of fossil fuel and private sector military industrial complex who are some of the biggest industries behind corporatism. For us in what is commonly referred to as the cannabis community, we are also victims or a target of this political business model “corporatism”. This is because all the corporations that lobby for these Western crusades in poorer countries work together to ensure populations in the West feel they are democratically electing their governments while in most cases we are just electing the representatives of these corporations. For example, since Donald Trump took office, his cabinet has been filled to the brim with ex-lobbyists for these corporations for which they still have close ties whether it be commissioned or to protect their pension interests. Their links can blur their interests in remaining elected and keeping their corporate donors happy. As we have seen from the United States recent out rising against the National Rifle Association’s stranglehold on politicians. It has exposed that even if they cannot directly bribe an elected official with gifted money, they can intimidate those that support gun reform by running a vast array of negative adverts against them. 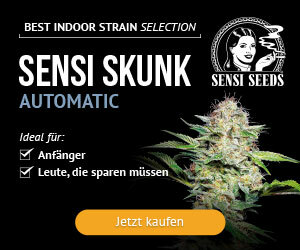 In the UK we have the same problem but from pharmaceutical’s who have an obvious conflict of interest with the cannabis community due to both cannabis being a well-balanced non-synthesized medicine from nature and the fact that cannabis has a higher and longer-term profile of effectiveness against inflammatory diseases. This is seen as unsustainable to the pharmaceutical industry because pharmacological products are designed to be long-term treatments that in most cases require chronic dependency with awful side effects from what we call patients and they consider customers. It doesn’t matter if a country has socialised health care like our NHS or a full insurance industry partner model, they will either rip off the NHS or rip off the insurance premium payer. One of the areas we have seen whole communities taken by the result of the pharmaceuticals “find the treatment, not the cure!” business model is during the AIDS crisis. Groups of highly affected activists known as “Act Up” were forced to perform huge civil disobedient acts just to get the governments to fund any progress to get treatment before they could even dream of a cure. Over 20 years later since the first anti-retroviral treatments were made clinical, we have seen their community held hostage by this treat and repeat business model that has no interests in wiping out the virus because their repeated use and dependency of these drugs is so profitable for the pharmaceutical industry. So AIDS is not cured, it’s not in the news as much because ACT UP was largely silenced by the pharmaceuticals new treat and repeat program which to their credit vastly reduced AIDS-related deaths which cannabis cannot do by itself against a retrovirus. It’s arguable that this program has elevated the pharmacology industry to be the most influential donors to politicians because of all the money they have made since the mid-90’s when the insurance companies agreed to cover ARV’s. What’s worse though is they have tried to do the same with cancer but continue to lobby for a standard of care that only has a 4% chance of patients maintaining remission which is a much lower percentage than patients that rely on anti-retroviral to stay in remission from AIDS. So we see from dated forms of legislation like the 1930’s cancer act and the growing dominance of pharmacologism that most cancer patients are made to suffer horrendous side effects from chemotherapy and radiotherapy, with very little chance that the cancer stem cells will be killed in the toxic bombardment. Again we see in modern corporatism that each corporate industry helps each other out as long as they are large enough. Evidence emerged via the Public Health Collaboration in 2016 that there had been collusion between food giants and government food regulators since the 80s where American food giants really hit the UK market. 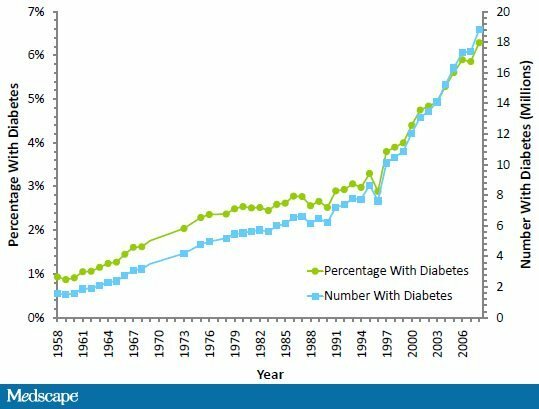 We can see that rates of diabetes have spiked since then as a result. This is disturbing because it correlates with the introduction of high fructose corn syrups into the UK diet which increased as more cereals and snacked were introduced in the 90’s containing this and often specifically targetted at young children. This has left the modern “Western Diet” an inflammation nightmare and cancer ticking time bomb where high levels of carbohydrates and omega 6 oils are combined while omega 3’s are neglected while salt is blamed to distract from the problems brought about by sugar. What a surprise it is that the husband of the UK’s prohibition tsar Victoria Atkins MP is chairmen of British Sugar. The problem is, apart from universally fatal or chronic diseases that were too expensive to treat such as Polio, were wiped out with early vaccines long before corporatism got out of control under President Regan’s time in the 80’s. It could be said that the 80’s provided with the pharmaceutical industry with their current business model of “finding the treatment, not the cure”. Today nothing much has changed, breakthrough treatments for brain cancer like Liquid Aspirin have been sat on in long negotiations and filibustered by bureaucratic trial guidelines that are ping-ponged between various regulators like NICE, WHO and the FDA. Ever noticed how breakthrough stories in the news often end with someone saying “it might be ready in 5 years”. A lot is done by the pharmaceuticals, lobbyists and regulators in that time to ensure “further testing is needed”. A long story short. Your chronic condition, your terminal diagnosis, your life-changing injury, your wellbeing and that of all the people you love, is not a business priority for certain large pharmaceuticals in an era of corporatism parading as capitalism. They only care about the profit which is their addiction. Profits from repeatedly treating, hopefully with some side effects so they can go on treating them too it. This is not to say that all those that work in this industry are evil people with the same evil intentions as those that are at the very top trying to keep this system in place. Both many pharmaceutical, financial and military industrial workers are open and honest about the evil practices of their superiors and of course feel just like us when they are unlucky enough to be hit with a serious illness. Like the operators in a call centre for a corporation with an evil business model, it’s unfair to shoot at the messengers, just as it is to attack the other workers who have no say in the overall agenda of the company they are working for to provide for their families. Their masters have become so powerful and numerous that it’s now their goal to disinterest you in registering to vote or developing political opinions because they already had a generation fooled and unaware of who really pulls the strings in parliament and congress. They consider that generation “precariat’s” or precarious voters AKA useful uninformed voters that still believe the wealth is going to “trickle down” as long as they keep voting for governments controlled by the big corporations. They made precariats by using the cold war to radicalize the baby boomers, in particular, to fear Marxism as Moa/Stalin style communism when really Marxism is simply to critique or analyse on who capitalism is working for or who it isn’t working for. They wanted them to think that Karl Marx was simply advocating for the failed forms of brutal communism we saw under Moa and Stalin even though Marx died well before Brutal forms of Communism were enacted. This was an effective talking point for corporatists because to makes the study of critiquing the corporatist system a taboo. In the cannabis community, we know that the system of corporatism isn’t working because prohibition is a side effect of that system. You can’t have corporatism without prohibition just in the same way as you cannot have it without perpetual resource wars like we see constantly in areas of the world where the most valuable natural resources are. As powerful and as entrenched as they may be in modern Britain, there is a resistance, all be it one that is far behind the organised resistance in the United States which booms from the heart of progressivism on vast independent networks like TYT, Wolfpack, Justice Democrats and many of their comedian circles which are also embracing Indi media with podcasting. In the UK we have seen an equal and opposite reaction to the corruption of the US Democratic Party which lost its way during the 80’s when they tried to match Regan by emulating the Republican “money in politics” approach which has turned the Democrats into a neoliberal soft opposition to the Republican Party. 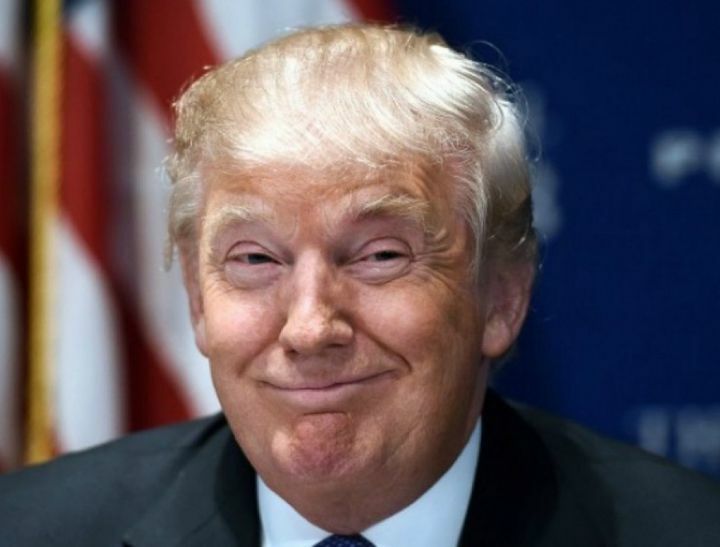 It was most obvious shortly after Obama became president when he had a full house dominated by Democrats and at no stage did he give in to the wiped out Republican oppositions amendments to his policies. Cannabis was not legalised on a federal level. In fact, the prison population exploded, the resource wars were set in stone with his drone obsession and whistle-blowers were tortured, incarcerated and exiled. In the UK our wolf in sheep’s clothing party has been retaken by the true progressives largely thanks to grassroots organisations like Momentum proving with people like John Landsmen and Jeremy Corbyn that not everyone from the older generation was made into a precariat to fuel corporatism. We can now see in the mainstream media in panic mode with the constant smearing of progressives as communists because they dared to critique the corporatist system. As we saw with the 2017 snap election, Corbyn’s crowd chanting Glastonbury appearance compared to the Tories “big tent ideas” flop, the young are not buying this narrative as much as the older generation did. So it’s no wonder the Tories strongly opposed a bill to try and lower the voting age to 16. The fact that the Tories have clung onto power for so long after throwing away their own majority is an example of how the progressives in Labour could very easily lose their party to again to neoliberal MP’s like Tony Blair, David Hanson, Owen Smith, Yvette Cooper and Liz Kendall. All but Jeremy Corbyn in labours last 2 leadership elections opposed any change in the law on cannabis which shows very few distinctions between their opinions on drugs laws and the majority of the Conservatives who have shown the most opposition and ignorance in regards to drugs laws of all the main parties in Westminster. Now say Corbyn was challenged again and lost to one of these prohibition candidates, the fight against prohibition would be in a much worse situation than we are today because that would mean in parliament there would be zero opposition to corporatism and its resultant prohibition laws. The only reason prohibition has ended in US States like Colorado and California is because the progressives took over from the grassroots in those states who have supremacy over federal prohibition laws. This is why everyone in the cannabis community needs to become politically active and make sure we are all registered to vote, not just in general elections but at all elections where we see the same battle against prohibition in councils across the country. A prime example is the fact your local Police Crime Commissioners are elected by their local population. If you support cannabis, it’s in your best interest to make sure you support the candidates for these roles that are supportive of cannabis and the idea that the police should not prioritise it. Luckily in Durham and North Wales, we have brilliant elected PCC’s who want cannabis normalized and not treated like a menace to society like we see every weekend in our town centres or A&E departments with alcohol-related violence and toxicity. Now with a growing nationwide network of Cannabis Social Clubs. 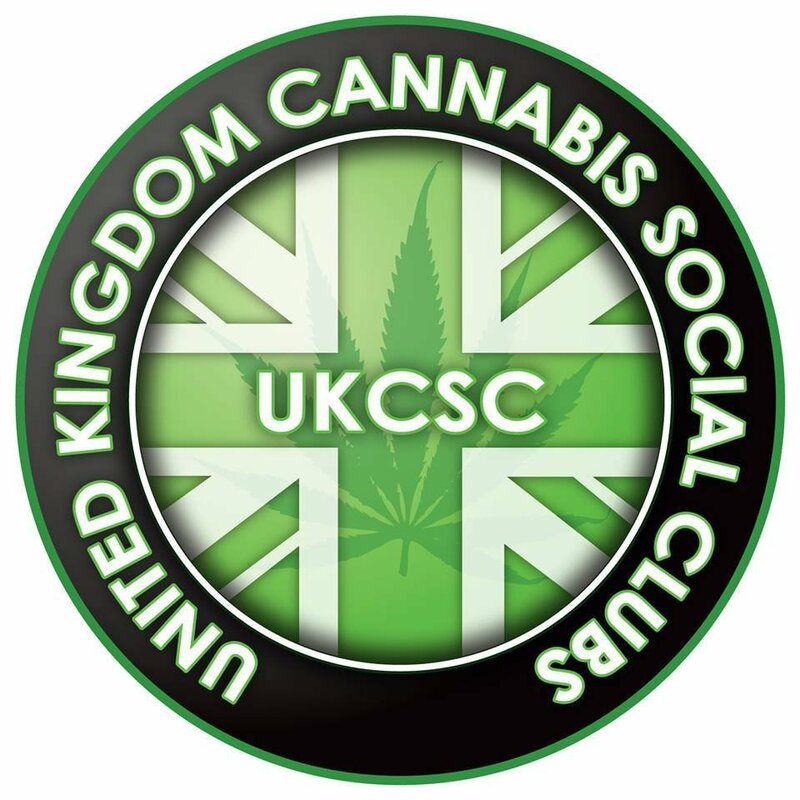 The criminal gangs are being slowly removed from the subject of cannabis because the UKCSC are getting better all the time at exposing scammers and improving education to the general public with regular live videos from Durham’s Simpa Carter and strain reviews from ISMOKE’s Tyler Green. 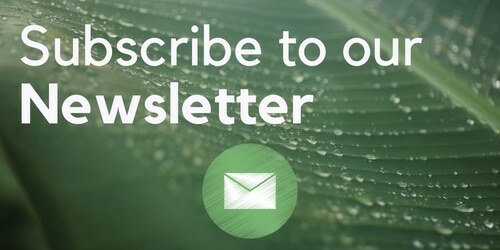 These groups have perfected the scientific botanical disciplines that help produce superior medicinal quality strains of cannabis which why it’s been almost easy for the UKCSC to reclaim the cannabis market away from criminals who just don’t have the education, resources nor passion to grow anything that even looks appealing anymore. So the framework for the UK to go for full legalisation is there whether those who support prohibition like it or not. UK Progressives also have a growing base of Indi news media platforms to get the truth instead of mainstream media’s corporate bias. Sadly we don’t have the TYT network in the UK but we have Novara Media who analyse the news like it’s a conversation rather than a script fed into a robot so they are of course supportive in the legalisation of cannabis, sustainable environmentalism and anti-war since the industries behind all these things are not their donors. We all know that with the massive health benefits that come with a regulated cannabis industry as we can see it happening where progressives have made huge gains in the United States such as Colorado, California and Washington State. What is happening in Canada is a great example of us you need to be ready to vote because since their new Prime Minister Justine Trudeau announced Cannabis would be fully legalised, their opposition has had far too many opportunities to water down the original bill. This is because there is still not enough young voters there holding their representatives to account at the crucial times. In order for the UK to beat prohibition we first need to remove a hopelessly corporatist government. 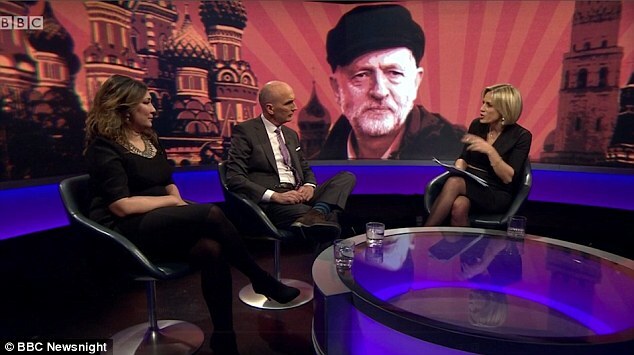 That means getting involved in the opposition to corporatism at the grassroots whether it be in community groups like momentum and supporting the independent media groups like Novara, that are helping to counter the smears and propaganda from mainstream media. 2017 proved that apathy only advantages prohibition. 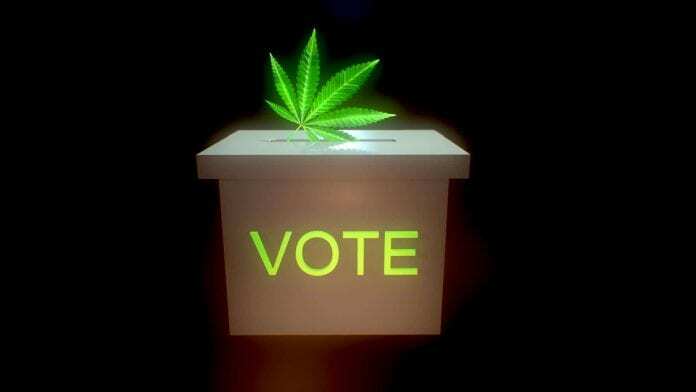 One member of Chester Cannabis Social Club commented during that year’s election that “Voting is a waste of time and changes nothing, it’s all rigged”. If it that was true, the Tories would still have a huge majority. Grassroots activism and progressive participation in politics certainly do make a difference. Because for many cannabis can literally save their lives, it’s not just a belief system or corporate interest to oppose access to it to those that benefit from it, it is at worst an evil position to oppose its legalization and at best a position of pure ignorance to oppose it. The fact is all of humanity has evolved an endocannabinoid system, to oppose access to exogenous cannabinoids is to oppose our evolution as a species. Evil will always be in power as long as it can trick people into voting for it. In an era like this, we need more people on the good side to overthrow the evil that comes with big money interest, inequality heavy corporatism. Join the good side and support legalisation of cannabis by being politically active, contact your unsupportive representatives and let them know they won’t have your vote unless they get on side. If they make excuses, hold them to account with the facts and let the community know who is against us. Keep the good representatives like Paul Flynn that support cannabis in power, Keep good PPC’s like Arfon Jones and Ron Hogg’s in power too and the only way to do that is to give them your votes.